Pergolas can be attached to your home or be completely free-standing in your yard. They can be built over an outdoor kitchen or near a pool to provide filtered shade and some protection from the elements. 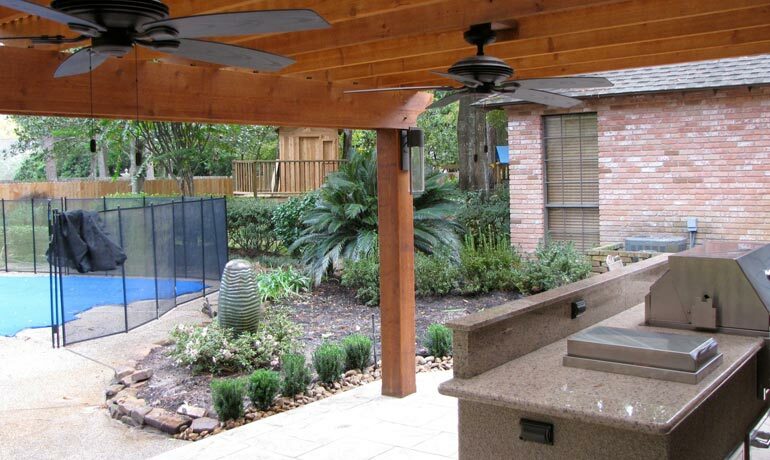 Pergolas are custom designed and built out of wood or aluminum, with a lattice roof design. A polycarbonate sheet can be placed over the lattice roof for better protection from rain. Ceiling fans and lights complete the backyard pergola design.